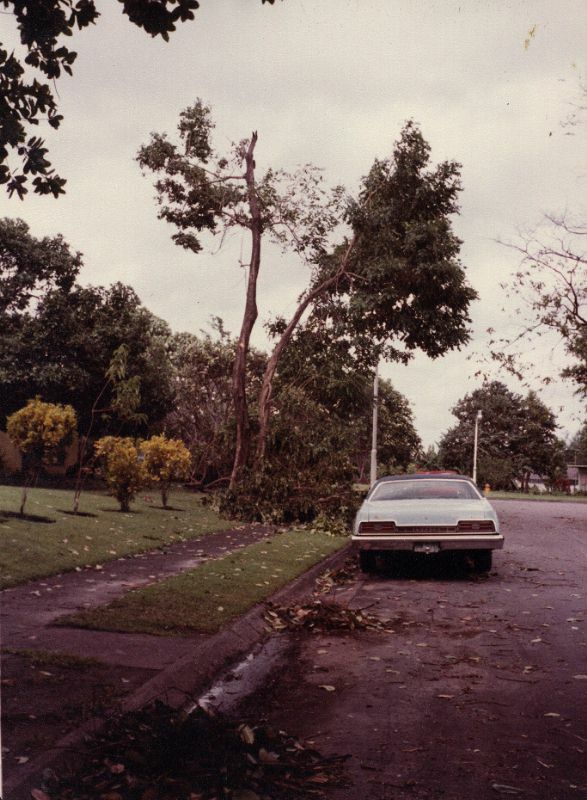 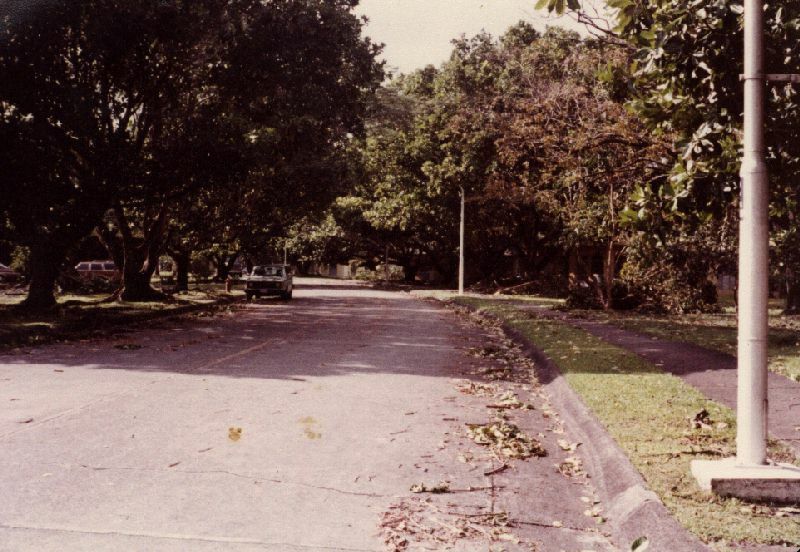 Photo B -- A glance down 40th Place after Typhoon Irma (Nov-1981). 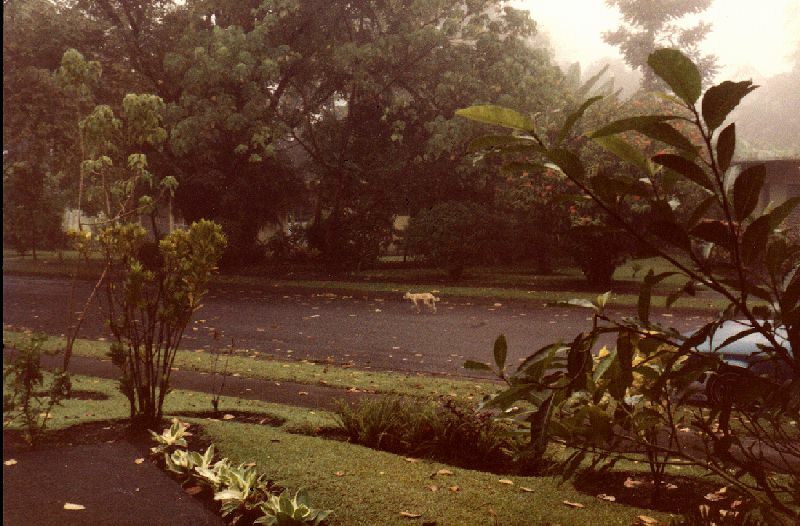 Photo C -- Early evening glance down 40th Place (1981). 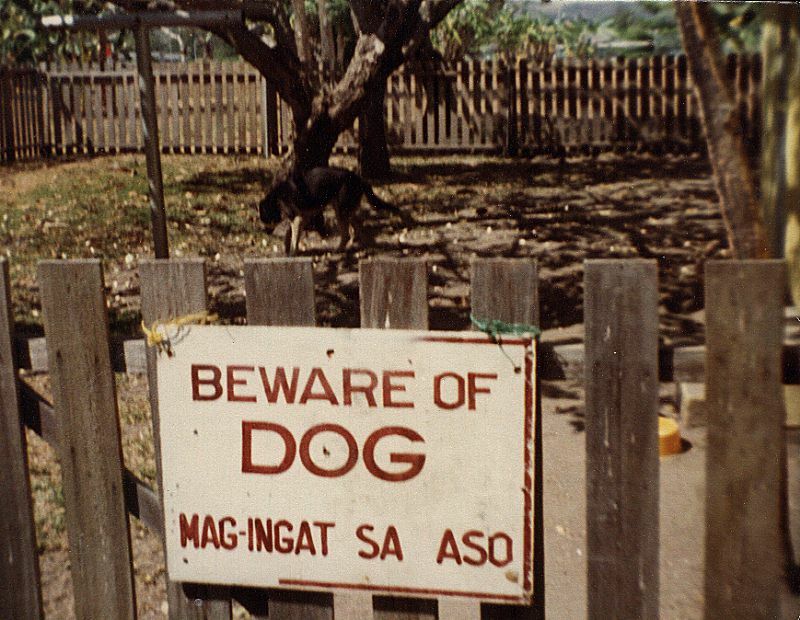 Photo E -- Back yard of 414 40th Place shows the Harvey's dog "Lady" and a "beware" sign in Filipino and English. 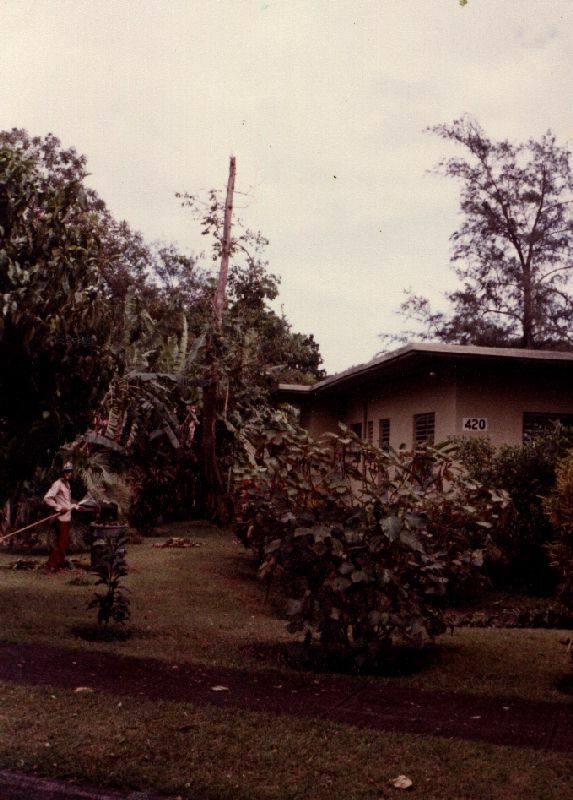 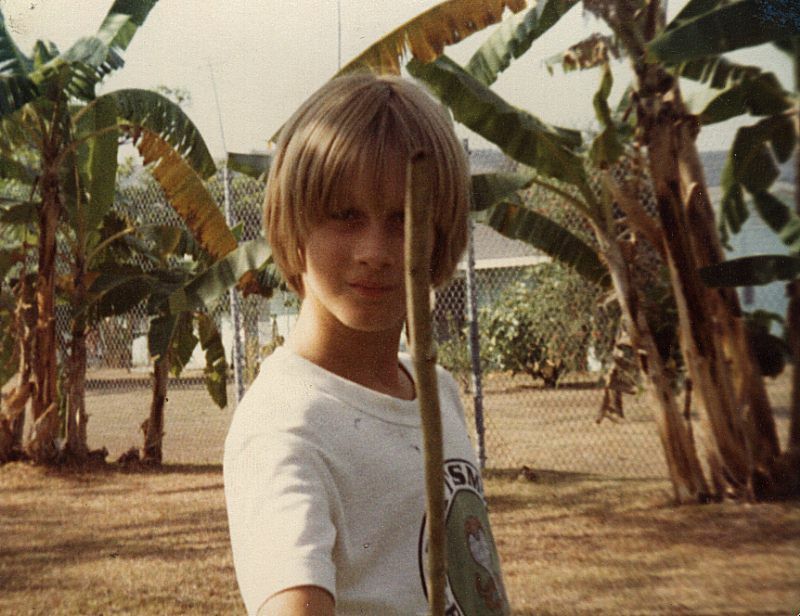 Photo F -- Yardboy Mel at work in the side yard of 420 40th Place (1981). 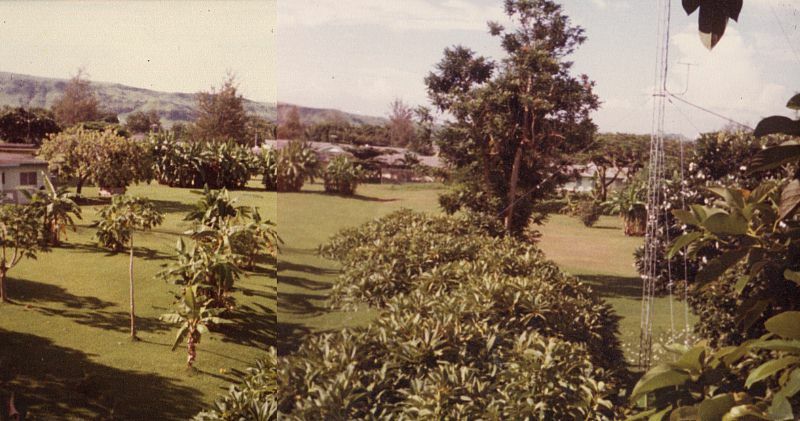 Photo G -- Looking west (uphill) on Davis Ave.
Photo H -- Spectacular shot from a tree of the field in between 39th and 40th Place, looking north. 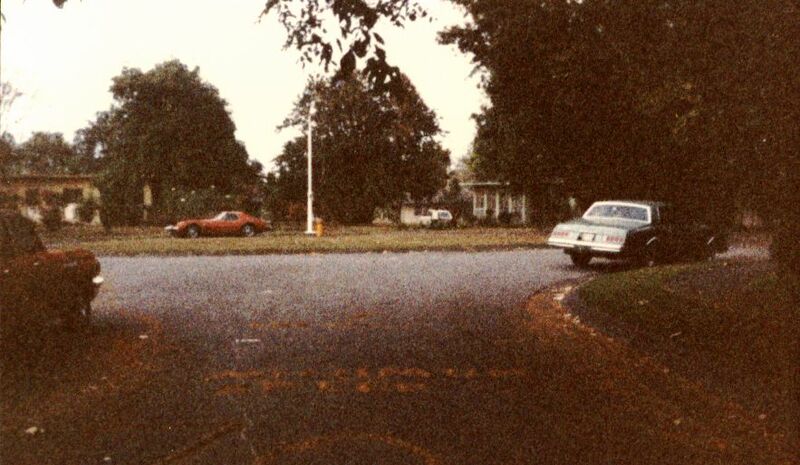 To the right is the Harvey's ham radio tower (back yard of 414 40th Place). 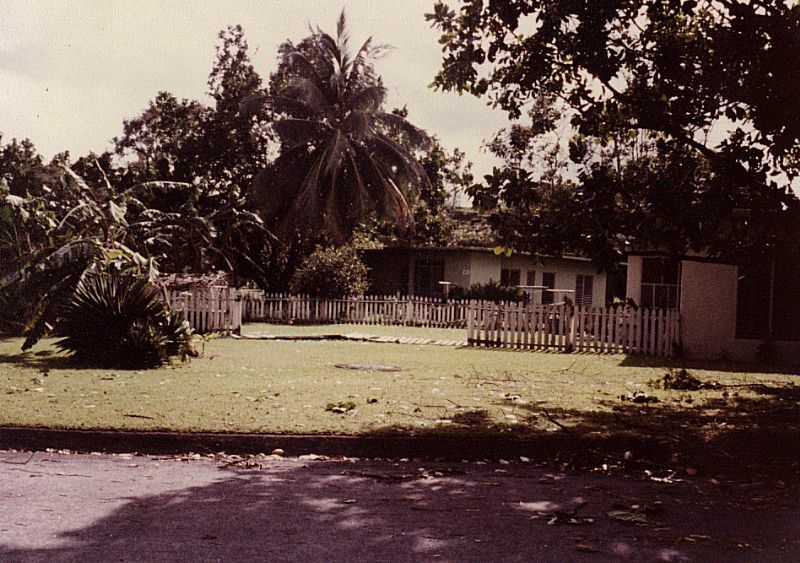 In the distance are homes along Dinagat St.
Photo I -- Randy Wages, neighborhood kid, in back yard of 416 40th Place. 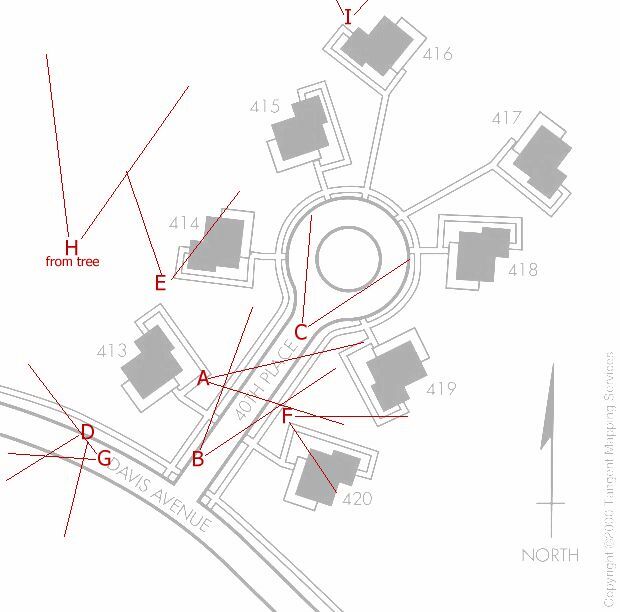 Reference map showing where photos were taken and where camera was pointing.